I flagged this Fine Cooking recipe ages ago because the photo looked so appetizing. Had I known how quick and easy it was going to be to put together, I would have made it much sooner. 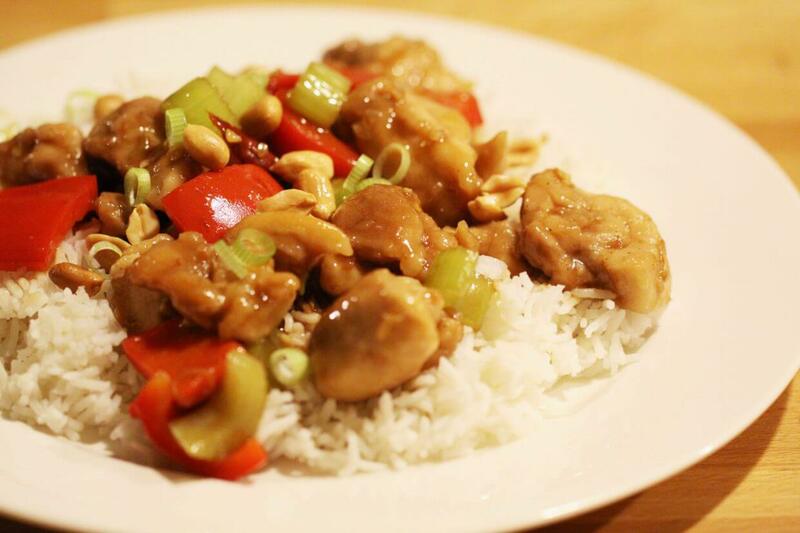 What we know in North America as Kung Pao chicken is a Westernized version of the Sichuan dish. 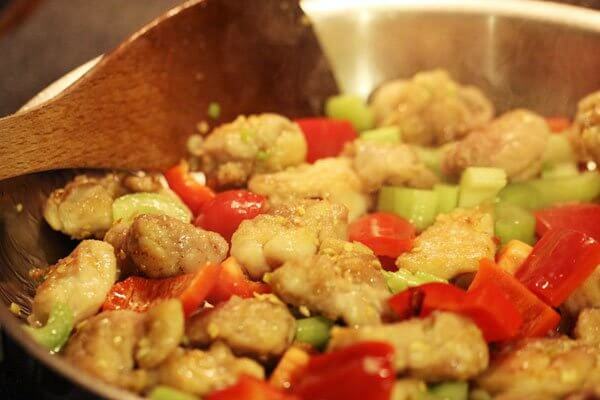 This Fine Cooking recipe is definitely the Western version; in fact, this recipe goes a step further by substituting harder-to-find ingredients with common supermarket items (such as balsamic vinegar instead of black rice vinegar). Please don’t hold the recipe’s inauthenticity against it—because it definitely delivers. It made a beautiful weeknight dinner. And it’s perfect for the week because it comes together quickly (in about half an hour if you’re quick at prep). Put the rice on to cook as you start, and you’ll be good to go. We substituted chicken thighs for the chicken breasts (either would work well). We found it a little spicy, but our dried chiles may have been particularly hot. Next time, we’ll hold back a bit on the chiles… because we’ll definitely be making this again!